Here at Indian Traders, we are renowned for our beautiful and extensive range of Pendleton Throws and Blankets. 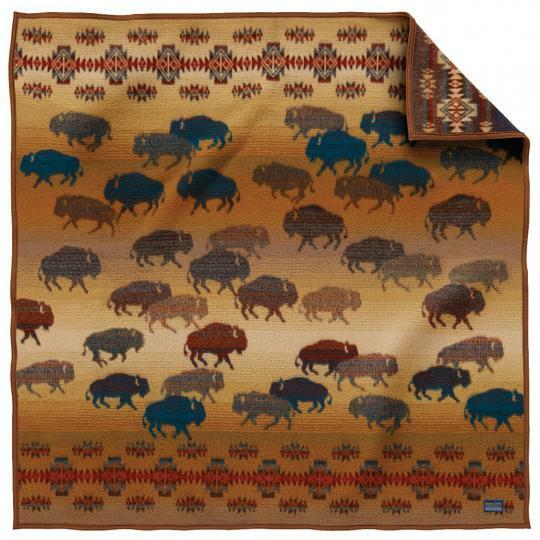 These durable, warm, top-quality wool blankets are not only a fantastic souvenir of a visit to the US southwest, but a Pendleton throw blanket is also a stunning addition to any bedroom, living room, or another area of your home. 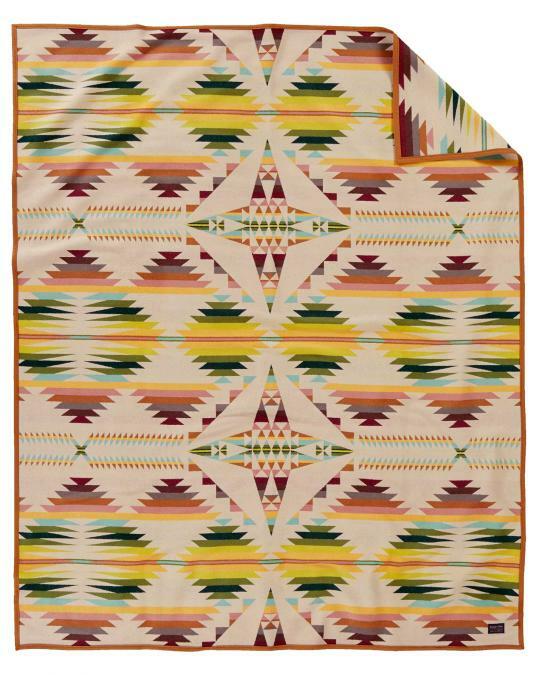 Chief Joseph Blankets: This was the first American Indian blanket created in the 1920s. Napped, it has a soft texture and is available in a vast array of colours with a standard intricate design. This blanket is ideal for a child or baby’s room. Pendleton Throws: Throws were traditionally used by the Native Americans for warmth in winter and as bedding padding in summer. They are a stunning addition to any room and our selection is wide and varied, from colourful geometric patterns to jacquards, stripes, and our magnificent Prairie Rush Hour Throw which depicts buffalo. Saddle Blankets: used to cushion saddles, protect horses, and absorb equine sweat, our range of Pendleton Saddle Blankets reflect the importance of horses to the Native Americans throughout history and pay tribute to the designs the Midwest Plains Indians traditionally painted onto rawhide. Crib Blankets: These 32” x 44” blankets are crafted from the softest wool and cotton blend and will fit any baby crib. They are napped and have felt binding for utmost cosy comfort. Registered Blankets: limited in number, our small offering of authentic Registered Pendleton Blankets depicts cultural heritage stories of great importance to First Nations cultures. The Arizona Centennial Commemorative Blanket dates from 2012 and is inspired by the state’s flag and the state’s fifteen counties, including Apache, Mohave, Pima, Coconino, Yuma, Navajo, and Santa Cruz. The Pendleton Hubbell Trading Post First Phase Chief’s Blanket is representative of the 500 blankets commissioned in the 1980s to celebrate the Navajo Chief. Heritage Blankets: Our Heritage Collection features original blanket designs from the Pendleton archived. They are authentic designs that were first created more than a century ago. These are unnapped, felt-bound blankets crafted from 82% wool and 18% cotton, and each measures 64” x 80”. Each blanket features geometric motifs and vibrant colours. Pendleton American Indian College Fund Blankets: These designs reflect the collaboration between Pendleton and the non-profit American Indian College Fund (AICF). 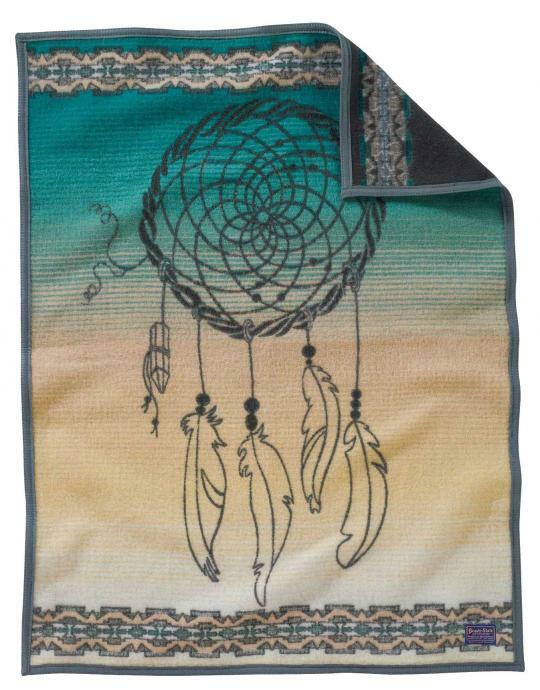 Part of all sales of this range of blankets is donated to the AICF to enable financially-compromised students to attend college by offering scholarships and other funding to Native American students with a record of academic excellence. We additionally offer products from our Legendary Collection, Pendleton National Park, New Blankets, Contemporary Blankets, and Tribute Series. We also offer Pendleton Towels, Pillows, and Bags. Explore our full range online today to find the perfect Pendleton blankets or Pendleton throw for you. We guarantee you’ll be thrilled with the designs and quality we offer for these unique, special keepsakes.